State government of Uttar Pradesh launched Rashtriya parivarik labh yojana for the welfare of poor families of Uttar Pradesh . Application form for Rashtriya parivarik labh yojana, approval of the application form and distribution of this scheme will be based on through the Internet based system. National informatics center Lucknow Development software regarding Inviting online application form for Rashtriya parivarik labh yojana. this website will be started working from1 January 2016 . 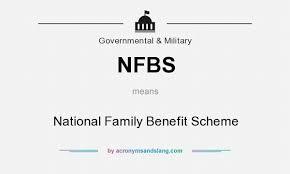 Under the National Family profit scheme government Provided Funds after the Death of male of Female Head of those BPL families who are between 18 to 59 years . government will provide rs 30000 Fund after the death of Head of the family in single installment from 3 September 2013. Only below the poverty line families can fill application form for Rashtriya parivarik labh Yojana. Eligibility criteria : only BPL family are eligible for this scheme . Amount will be only given after the death of Head of the families whose age was between 18 to 59 years . Family Income : maximum 56450 per year in Urban areas families and rs 46080 per year in Rural areas. Fund of Rashtriya parivarik Labh yojana : rs 30000 Fund will be provided by the government to eligible family in single installment in the bank account of concerned family . Fund will be transferred after the 45 days from the date of filling online application form . After filling application form take a printout and submit it within 3 days at the office of zila samaj kalyan adhikari and don’t forget to take computer generate receipt of application form. Photo of applicants , age Certificate , Death certificate of Head of the family , Age certificate of Head of family Like Family Register copy , Education qualification Record, , CBS bank account with IFSC code and scanned copy of passbook which will be upload online. All document will be scanned after the self attestation by the candidates.